Romy Valdez leads this deep gong meditation class. All activities at the Sajni Center are limited to children with cancer or life-threatening illnesses and their immediate family (parents, siblings, legal guardians). 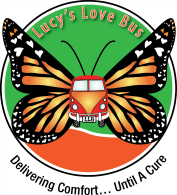 You will need a special code to sign up for this event at the link below; please email Jackie@LucysLoveBus.org for this code if you meet the above eligibility requirements and need the access code to register.